I’ve been slightly obsessed with cucumber’s lately, mostly the process of fermenting them into sour pickles. 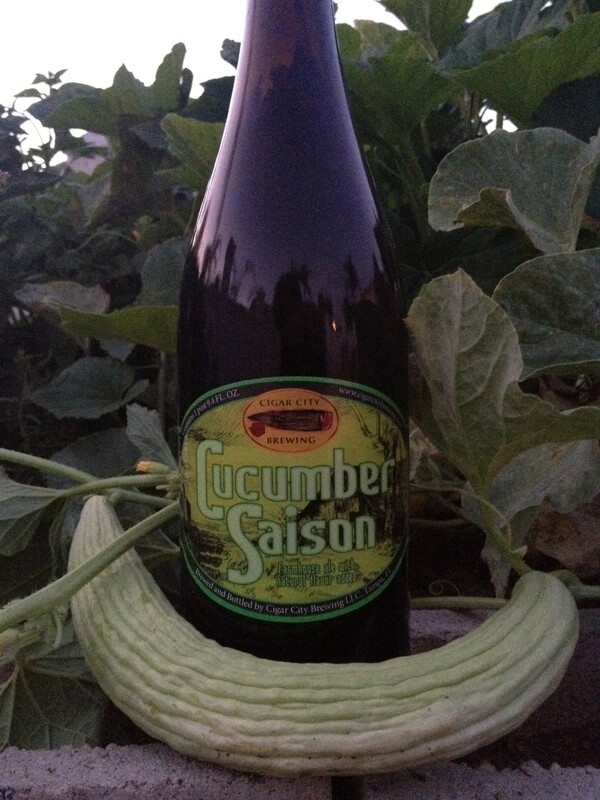 So I was pretty bummed when I heard about Cigar City Brewing’s Cucumber Saison. Not because I didn’t like the idea behind it, but because Cigar City isn’t distributed in California so I thought I’d never get to try it. Cue a backyard BBQ and a friend with a Rare Beer Club membership. So a big thanks to Ken for sharing this with me, otherwise I probably won’t have gotten a chance to try it. I’m sure I’ve said this about other beers before, but this time it could just be the one: This seems like the perfect summer beer. Saisons are already great beers for long hot days, but the added cucumber here just makes it that much more refreshing. Sitting around drinking it the idea of aging came up. Maybe, just maybe Cigar City threw some bugs in, so that that what is now a bottle of fresh Cucumber Saison may start to develop some sour pickle-like flavors after a bit of aging. 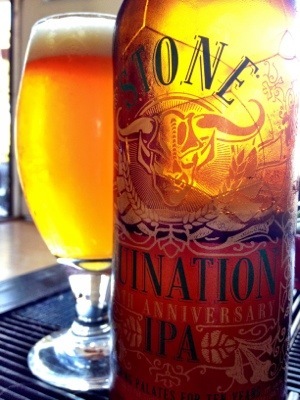 Posted by Jeff Hammett in beer reviews, breweries, stone brewing co.
That Stone Brewing Co. decided to brew a stronger (10.8% ABV), hoppier (110 IBUs) version of their Stone Ruination IPA in honor of it’s tenth anniversary shouldn’t surprise anyone. Bigger isn’t always better in my opinion though, and while Stone Ruination Tenth Anniversary IPA certainly isn’t bad, now that I’ve tried it I’ll be reaching for the more subdued original Ruination next time that hop craving comes calling. Note: Stone Brewing Co. provided this bottle of Stone Ruination Tenth Anniversary IPA as a promotional sample free of charge, but that in now way biased my opinion of it. I’ve been increasingly on the hunt for flavorful “session” beer lately, something I can drink a couple of and not feel it too much. 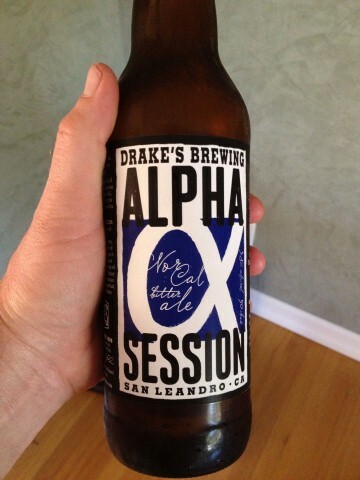 Drake’s Brewing Alpha Session fits the bill pretty well. 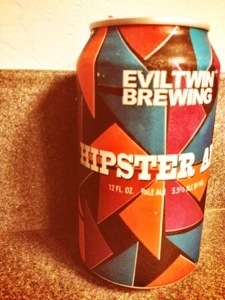 It’s 3.8% ABV, so by the time I finish this 22oz bomber ($5.99 at Bottlecraft) I won’t be feeling the booze too much. Ratebeer lists it at 75 IBU, which kind of surprises me, it’s hoppy, but I’d expect the IBUs to be lower along with the the alcohol. Brian Jensen at Bottlecraft mentioned that he thought the aroma was better than the taste, which I have to agree with, though I don’t have many complaints about the flavor (nor did it sound like he did). This beer smells good. From the smell alone you’d have no idea that it’s such a low alcohol beer, you might think you’re in for a hoppy IPA or even a Double IPA. The taste is definitely hops, pine and grapefruit, but the body is (understandably) on the light side. I’d drink this again no questions asked, but I think I’ll be on the lookout for slightly stronger Session IPAs. 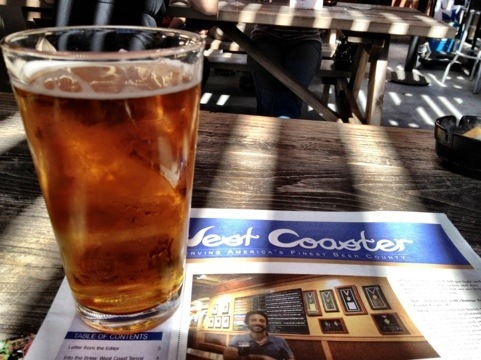 For their part, Drake’s doesn’t call this an IPA or even a Session IPA, they label it a NorCal Bitter– a nod to the low ABV English style Bitter but with their own West Coast touch. One of the pleasures of the Craft Brewers Conference is sneaking away for a pint and Toronado is an easy bus ride away from The Town and Country. I found Lagunitas Waldo, a deliciously hoppy Double IPA among plenty of other great beers. Toronado seems to be the unofficial brewers hangout during CBC, if you’re into meeting the best of the best in the craft beer world, stop in for a pint in the next few days, chances are you’ll see some of your favorite brewers. Rumor has it Lagunitas Waldo will show up at 4:20pm tomorrow (Friday) at Tiger!Tiger! also. 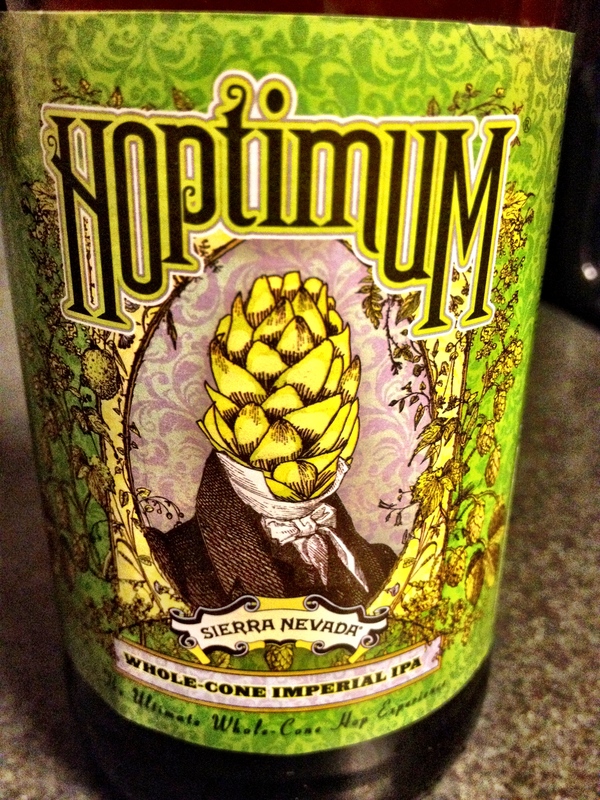 Posted by Jeff Hammett in beer reviews, breweries, sierra nevada brewing co.
Sierra Nevada’s Hoptimum doesn’t seem to get as much attention as some other seasonal beers that beer geeks go crazy over. Maybe it’s the fact that four packs of Hoptimum can be found pretty much anywhere that sells decent beer, and at a relatively reasonable (for a seasonal Double IPA) price of $10 for said four pack. As the name implies, Hoptimum is hoppy, 100 IBU’s of whole cone hop goodness including some new Sierra Nevada proprietary hops as well a Simcoe, Citra, Chinook and German Magnum. Just like you’d expect, it’s bitter, but it also has a great grapefruit and fruity hop flavor. Like many Double IPAs, Hoptimum is fairly sweet, but has the hop bitterness and flavor to balance those sweet malts out. Hoptimum won’t be on shelves for long, so pick some up soon (and if you do manage to find a bottle a few months from now it’s best to avoid it, all the hoppy goodness will have probably faded). Posted by Jeff Hammett in beer reviews, beer stores, bottlecraft, breweries, san diego brewed, stone brewing co.
I’m not a huge Barleywine fan, but enjoy them enough and try to have one from time to time. 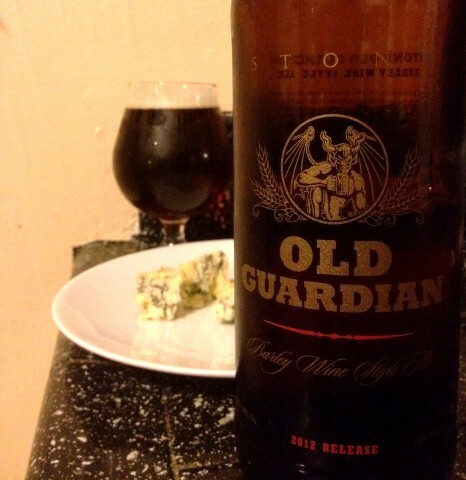 Stone Brewing Co.’s Old Guardian is probably one of the first I ever had (it was either Old Guardian or Sierra Nevada’s Bigfoot). I was a bit fan of the Belgo Old Guardian last year, so much so that I don’t think I had the regular version at all. First off, this is a beer that needs to warm up. Take the bottle out of the refrigerator and let it sit out longer than you think is necessary. Don’t guzzle it down while it’s too cold or you’ll miss much of the flavor. At 11% ABV it’s boozy, and at 85 IBUs it’s hoppy, but there’s so much rich flavor from the malts that, while I wouldn’t call it balanced, it all comes together pretty well. I often don’t think much about food pairings, but a beer like this I knew needed something that could compliment it well. I picked up some Stilton Blue Cheese (which just so happened to be on the recommended pairing list, thank you Dr Bill). The Stilton complimented the beer perfectly, the rich, creamy cheese coats your mouth and starts to prepare your taste buds for the intense flavor to come. 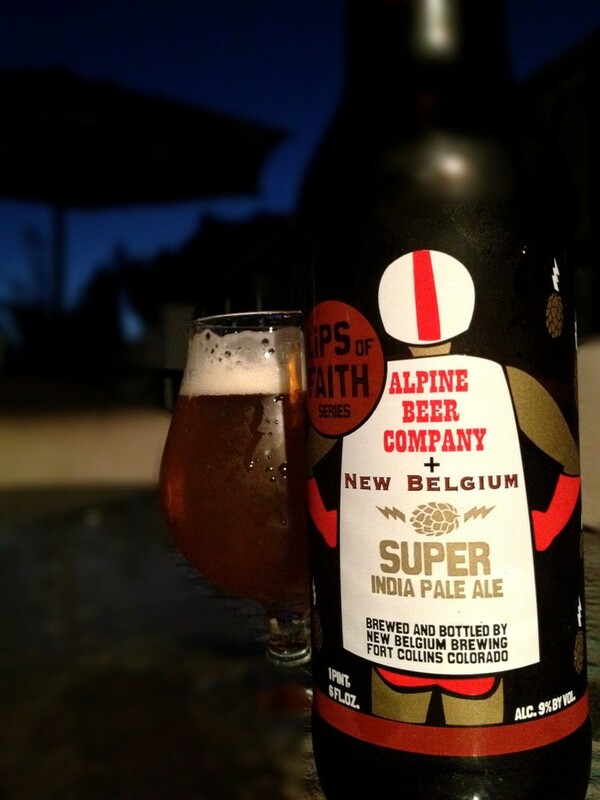 The beer washes the cheese away as you drink, perfectly transitioning from rich creamy cheese to big hoppy, malty beer. I don’t remember it well enough from year’s past, but I have to say I think the aggressive American hops might be a bit much for me. 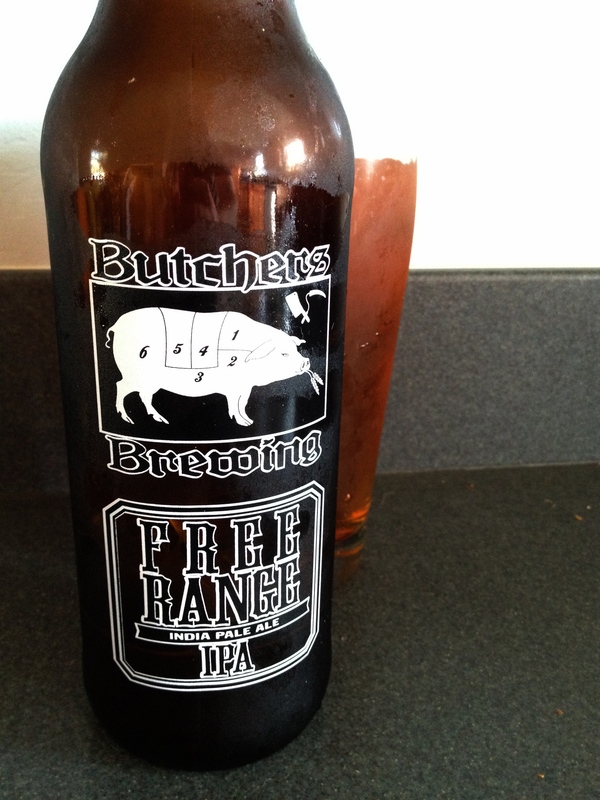 Though surely many fans of super aggressive West Coast IPAs will enjoy it.